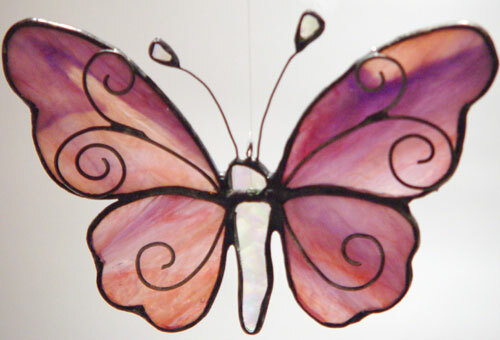 This stained glass butterfly is made up eight hand cut pieces of pink purple-white glass and measures 6 inches across. The body and antenna ends are clear iridized raindrop glass. This sun catcher is constructed using lead-free silver solder and tinned-copper wire work decorates the stained glass butterfly’s wings.